I took a spicy cranberry relish to the Thanksgiving party at work. This has been a family favorite for years. 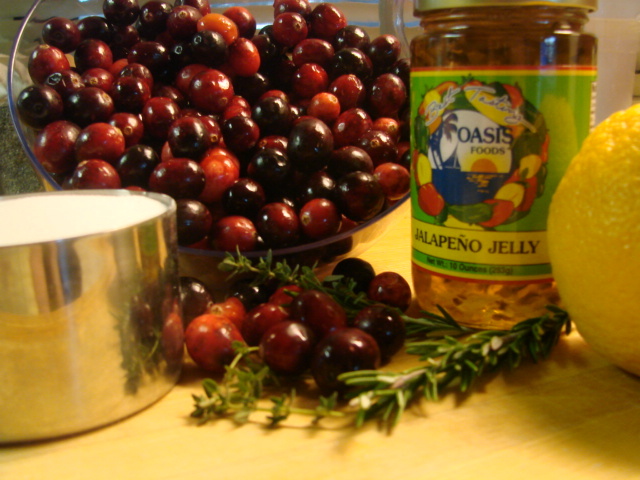 The spice of Jalapeño jelly and the herbs rosemary and thyme are used. 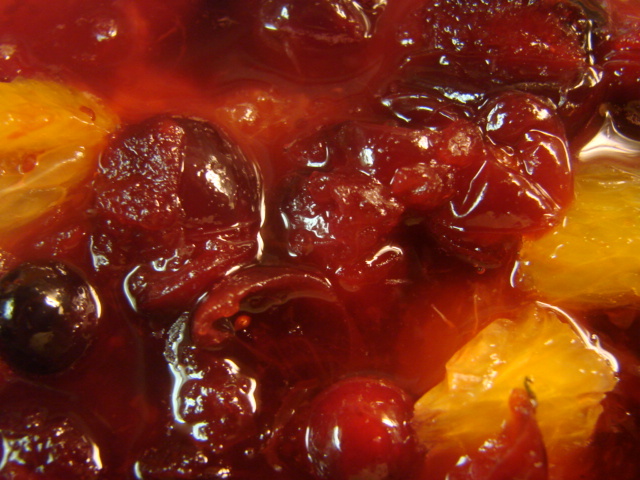 The cranberries are simmered with water, orange juice and the zest of one orange. The cranberries are divided in half. To one half the Jalapeño jelly and herbs are added. To the other half the orange segments are added. 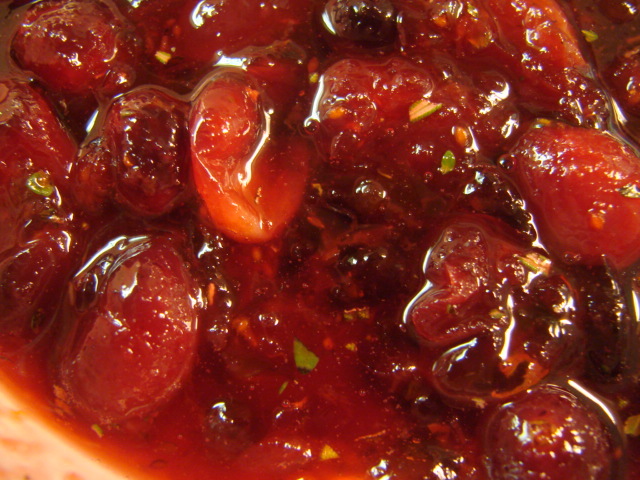 Tah..dah...One pot, two delicious cranberry dishes. dissolved and the cranberries begin to pop, about 15 minutes. 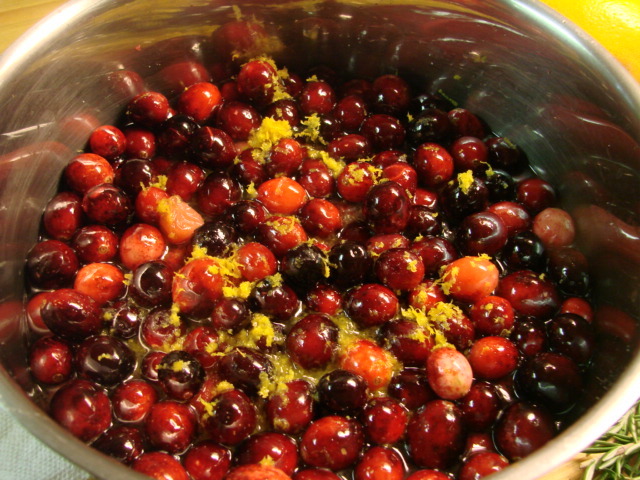 segments to half of the cranberries. Stir to combine. combine. Serve relishes in separate dishes. I'm kicking myself for not documenting where I got this recipe. I'm usually pretty good about that.